Business Capabilities describe what a business needs to do in order to generate customer value. Value Streams define how the processes of the company create this customer value. 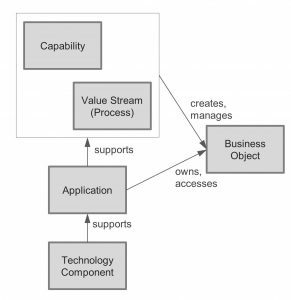 Business Objects define which information is needed in the capabilities and value streams. 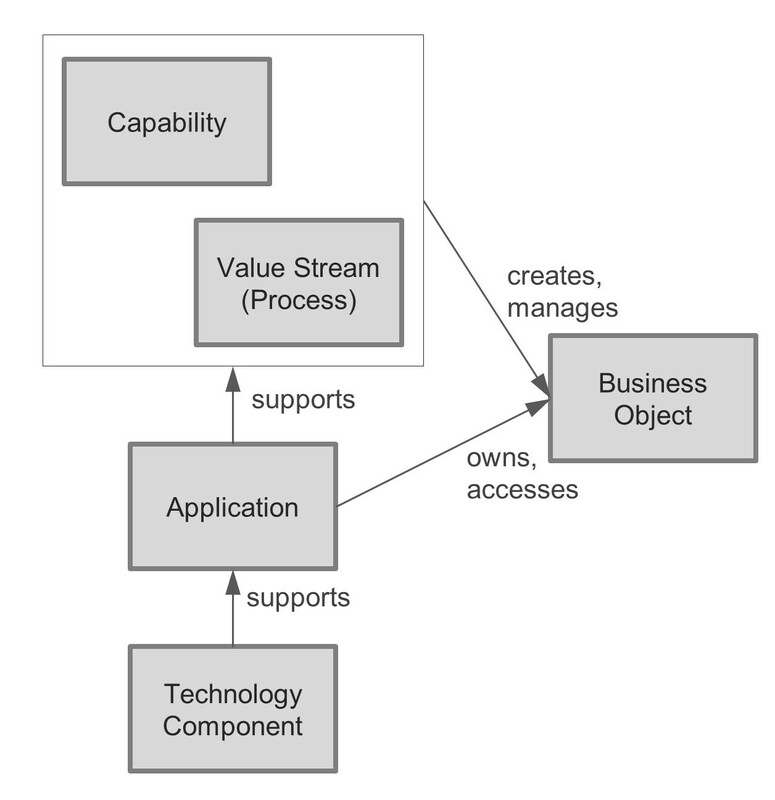 Applications are computer programs that support value streams and capabilities and store business objects in the form of data. If linked consistently and used widely throughout the entire company, these five artifacts are sufficient in order to achieve the goals of Architectural Thinking as mentioned above. They are the core skeleton model to which more specialized architecture models (such as business models, product models, customer journey models, process models, IT software and system architecture models) can be linked. The architectural model of Architectural Thinking is not in contradiction to the models used in existing tools and frameworks; it simply heavily downsizes what is in use today and focuses on the essence. Architectural Thinking comes with detailed, practicable cookbooks that explain how to build your architectural model.